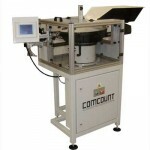 Comcount manufacture a comprehensive range of Bowl Feeder based Automatic Counting Machines which are specifically designed to automatically feed and count a wider range of Technical and Industrial Components into pre-set batch quantities. 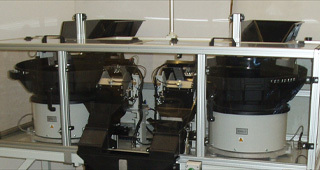 The company also manufactures the unique BFW Range, which combines optical counting and weighing facilities in one integrated unit. The Units are available in a wide range of sizes and configurations including single head, twin head and multi counter combinations to cover the widest possible applications. 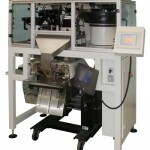 Standard Range of Bowl Feeder Counting Machines with optical count system is available in a wide range of sizes. Typically used to count 1 to 50 pieces. 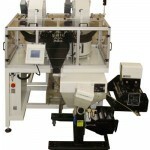 Twin Head Bowl Feeder Counting Machines incorporating two counters in one integrated unit. Typically used for higher speeds or to produce twin item packs. Premium Range of Bowl Feeder based machines, which combine Optical Counting and Weighing Systems in one integrated unit providing maximum flexibility and accuracy. 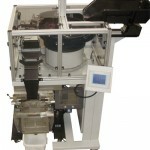 Machine incorporating two BFW counting/weighing systems into one unit with integrated Control system. Typically used to produce twin item packs and higher speed applications. 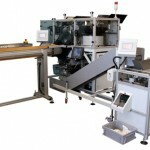 Comcount BF Range Counters and BFW Counting / Weighing modules can be combined together to produce integrated fully automatic packaging systems for producing multiple item spare parts and assembly kit bags.